Stayed for two nights and could not have been happier !! We had booked dinner for our first night, cooked by Gina, it could only be described as superb and the wine recommended by Gareth was excellent. The room was beautifully decorated and the bed extremely comfortable and I'm told they plan to improve it, how I don't know. The breakfast both mornings was very good with a wide choice. As a centre for exploring Snowdonia it really couldn't be bettered. 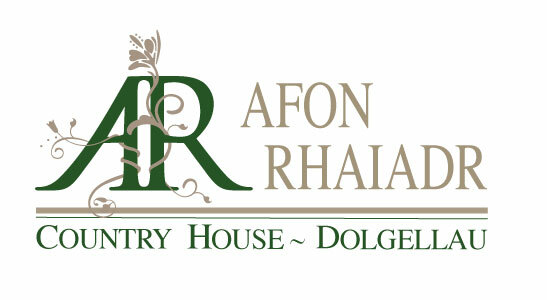 If you are planning a trip to Snowdonia then I would really recommend staying at Afon Rhaiadr - we had such a great stay - it was the icing on our cake to our recent trip to Wales. We paid extra to stay in the Foxglove room and it was well worth it - the room is really spacious and light (with two windows on every wall! ), it's tastefully furnished and very clean! Gina & Gareth are fab hosts - they were really friendly and hospitable. They go that extra mile to make you feel welcome and they made me feel special on my Birthday too - which was really nice ;-) The location is great; we walked the Precipice Walk and visited Barmouth, Portmerion and Aberystwyth (to ride the Rheidol steam train to Devil's Bridge). Breakfast was good and Gina's home cooked evening meals were delicious! We will definitely return and highly recommend this B&B to anyone planning a trip to Snowdonia. As hosts of a B&B you couldn't get any better than Gina & Gareth. So attentive and nothing is too much trouble and all done with a smile. The rooms are immaculate, the food delicious and the setting idyllic. Ideal for a weekend break. This is possibly the best B&B you will ever stay in! A slice of luxury in the heart of the Welsh countryside, owners Gareth and Gina go out of their way to make guests feel welcome and at home. With three acres of garden to explore, a truly delicious choice of breakfast and rooms that are quiet, comfortable and cosily decorated, it will be hard to leave when your stay is over. We were celebrating a special occasion, and not only had a room with a brilliant spa bath, but found a surprise gift hamper awaiting us, that had been arranged by the in-laws with the help and kindness of Gina. Just amazing. If you're planning a holiday to this part of Wales, don't hesitate to stay here. A beautiful place,lovely room,friendly smiley welcome and yummy breakfasts. Highly recommended and a place we will look forward to returning to asap. Gareth & Gina were excellent hosts and the 3 acres of gardens, woods and waterfalls pure delight. A must for nature lovers & a good central location for a host of interesting places to visit and explore. We have returned today from a two night stay at Afon Rhaiadr. We were made very welcome by Gareth and Gina, the rooms were lovely and the grounds spectacular. There are so many beautiful places to visit close by and we had such a relaxing time that we are planning a return visit next year. Have you stayed with us recently? If so, we are always looking for ways to improve our service, so if there is something you think we could do better, or that you think we are doing really well, we would love to hear from you.